As you probably all know out of my Instagram, few weeks ago I took a part in The Muscle Building Summit. 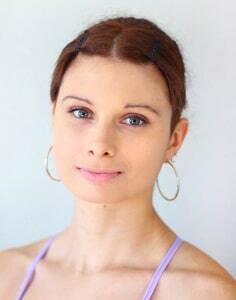 The amazing people from Fitness and Power invited me to contribute to their summit and talk about my area of expertise alongside with 30+ other fitness trainers and experts. This was the very first time I do a live video interview, and that’s the first reason why you have to make sure to get your exclusive FREE ticket as my fans. The Muscle Building Summit has brought together 30+ fitness experts you see daily in fitness magazines, PRO status athletes from IFBB to IDFA organizations. Each presenter talks about a specialized area of expertise with a long standing, proven track record of success. I myself am talking about pre and post workout nutrition, alongside with muscle building experts who reveal their secrets to training, nutrition and programming on how to build and maintain muscle. You have no idea what a privilege it is to hear what the top experts in the field of muscle building have to say. They will teach you all you need to know to build a better body, with a STEP BY STEP technique. These fitness experts have collectively trained thousands of people throughout their careers and now you have the privilege to be trained by them and learn all of their knowledge directly from the comfort of your home! This exclusive online event is packed with value and information – and it’s FREE up till July 15, so you have to hurry up! You know how I always go on and on about how planning is the number 1 thing you have to do if you want to get fit?! Well, you don’t have to do that anymore, since these guys have put all their efforts to build THE BEST PLAN for you. Step by step you’ll learn EVERY SINGLE DETAIL you need to know to finally get fit and build the body of your dreams. By applying for the FREE access pass to the Muscle Building Summit, you’ll get a FREE Copy of the play book with 10 MAIN PRINCIPLES FOR BUILDING MUSCLE MASS. Build and maintain a proper mindset and stay motivated. What Are You Waiting For Girls, Get It NOW! Needs help with which program to use and which exercise pairings are the most effective. 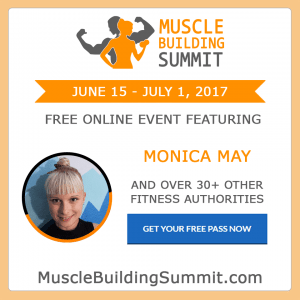 You have the great privilege to be a part of this amazing fitness summit and learn everything you need to know, so don’t wait a minute longer and get your free access! Get one of the best fitness and muscle building experts in your home! Don’t forget to share it with your friends and workout buddies! The Seven Phase of Success is the real kicker! Now I have my guidelines better gonna start working my but out and improve my whole body.